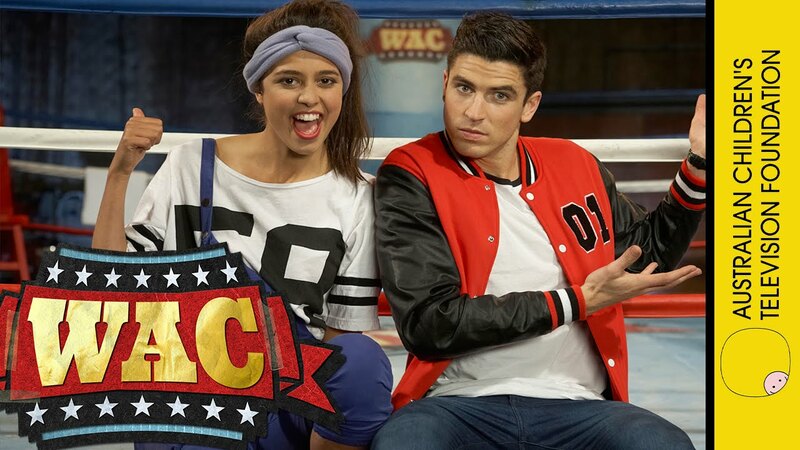 Hosted by Amberley Lobo and Scott Tweedie, WAC plunges head-first into the wacky world of wildlife, and puts a major spin on the factual entertainment format. Each episode offers a wild mix of archive footage, crazy studio experiments, hilarious animations and infectious fun from the hyperactive hosts, with each and every show crammed full of the most amazing animal facts and figures. WAC… let the fur fly! And you thought it was just the Dodo? Think again…. Ambo, Scotty and Sir Reg discover the silliest, stupidest and dumbest animals on our planet. Get ready with those sick bags, as Ambo, Scotty and Sir Reg don the safety gloves to grapple with the most disgusting creatures on our planet… It’s going to get messy and very, very stinky! Ambo, Scotty and Sir Reg scour the land, sea and air and come face-to-face with the baddest baddies of the animal kingdom… and these guys are cunning and bad to the bone! From the fluffiest to the meowiest, WAC goes soft in the centre, as Ambo, Scotty and Sir Reg encounter the cutest animals in the land. It’s WAC with an “awwwwww” factor! Ambo, Scotty and Sir Reg put their running shoes on to ensnare the quickest and flightiest animals on our planet… blink and you’ll miss it! This time it’s personal! Ambo, Scotty and Sir Reg don their scuba gear and head to the most dangerous oceans of the world, in search of creatures that even Jaws would be scared of. Unlock the cage doors and unleash the beast… it’s time for Ambo, Scotty and Sir Reg to face off against the meanest and angriest animals on our planet. Ditch the table manners as Ambo, Scotty and Sir Reg get the feeding trays, troughs and bird tables out to attract some of the greediest animals on our planet. Ambo, Scotty and Sir Reg will need to be pretty sneaky themselves, as they hunt down some clever critters with more than a few tricks up their sleeves. Ambo, Scotty and Sir Reg don their nose pegs and step cautiously, as they meet those animals where personal hygiene is a thing of mystery. Ambo, Scotty and Sir Reg flex some muscle as they tackle the mightiest of mammals and some beefed up beasts in this super-strong edition of WAC. Ambo, Scotty and Sir Reg rattle their grey matter into check and loosen up their neurons, to go in search of the biggest animal brain boxes on our planet. Roses are red, violets are blue, Scotty and Ambo are in love with...who? Join the team today as they discover which animals have the biggest hearts. Love is in the air. There is a hive of activity going on in the WAC arena today as some of world's busiest animals buzz, flap and fly their way around the ring, in search of the ultimate prize. Join Ambo, Scotty and Sir Reg as they tackle a menagerie of weird and wacky experiments, and encounter some of the most bizarre and strangest animals on our planet. Just when you thought you were safe, beware - you’re in for a scare! Ambo and Scotty turn spook-hunters, tracking down those super scary animals that lurk in the shadows. Sir Reg, Scotty and Ambo discover that there is nothing better than a hug from your mummy - or in this case, a mummy bear, mummy meerkat and even a mummy mummy! Don’t ask! Grab your ear plugs and join Sir Reg, Ambo and Scotty as they crash, bang and wallop their way through another 'Battle of the Beasts', to crown the world's noisiest animal. Get ready to chill out as Ambo, Scotty and Sir Reg don both their shades and thermals, and head to the poles in search of the coolest animals on our planet. It’s a battle of the biceps, a fight for the fittest and a tournament of the mind. Join Ambo, Scotty and Sir Reg as they arm wrestle with some of the world’s toughest creatures. Put on your hard hats and join Scotty, Ambo and Sir Reg, as they head into the danger zone and come face-to-face with some of the most ferocious, poisonous and terrifying animals in the world. Time to chill out and relax, as Ambo, Scotty and Sir Reg stumble across some of the most lethargic animals in the world - in the only show where, if they snooze, they definitely WON’T lose! It’s a bird, it’s a plane - no, it’s Super Scotty! Join Ambo, Sir Reg and Scotty’s alter ego, as they fly around the planet in search of animals with wondrous superpowers, in this super-duper episode of WAC. If you thought you had a neat bedroom, wait until you see the WAC arena today. Today’s show is all about feather-dusting one’s nest. Ambo, Scotty and Sir Reg get ready to practice their dad gags, as they search high and low across the animal kingdom for their perfect papa of the wild, wild world! If you thought your little sister was annoying, wait until you meet the irksome, the irritating, and the unbelievably infuriating animals that battle it out in the arena today. Beauty is in the eye of the beholder, but in this case ‘ugly’ is in the eye of Sir Reg. Join Team WAC, as they reveal the animals who look ugly, sound ugly and act ugly. Ambo, Scotty and Sir Reg get out their pogo sticks and mini trampolines, to battle it out with the bounciest beasts and best leapers around. The mirrors are out as Scotty, Ambo and Sir Reg reveal just which animal is the fairest of them all. Ambo, Scotty and Sir Reg dig down-under to discover Australia’s Most Deadly Animal. So put on your safety gear and keep that antidote handy, as today’s show could get dangerous. Sir Reg, Ambo The Fearless and Scotty and his stunt double fly, spin and leap their way through the adrenaline-charged contenders. Which daredevil won’t shy away from any frightening feat? Throw on your pyjamas and throw in the pillows, too! The WAC gang head deep into the darkness (torches in hand), to discover the Ultimate Night Creature. It’s sure to be a hoot! Pet pooches and pussycats aside, Sir Reg, Scotty and Ambo search far and wide to find the best household companion. But WAC’s Perfect Pet might not be what you expect! Get ready to squirm, squeal and itch as Ambo, Scotty and Sir Reg brave eight-legged (and even no-legged) critters, to find the creepiest of them all. Now you see me, now you don’t! Which animal will win this week’s challenge and which one won’t! Ambo, Scotty and Sir Reg look for the animal hardest to find, the Master of Disguise. Today’s contenders slither, rattle and hiss their way through the WAC’s criteria in a hope to secure the prize. No tournament would be complete without plenty of kooky experiments. Lay back and prop up your feet, it’s time to take things easy. Ambo, Scotty and Sir Reg set off at a leisurely pace, to find the Chill Out Champ of the animal world. Ambo, Scotty and Sir Reg’s senses are tingling. X-ray vision, heightened hearing, powerful navigation! The team set their sights on sniffing out the critter with the best Super Sense. Dinosaurs no longer roam the land, but some of their cousins have survived the test of time. Which cold-blooded creature will ace WAC’s trial and earn the title of Ultimate Reptile? The Kangaroo and Koala have had the centre stage for long enough. What other incredible Aussie creatures are living in the shadows of the obviously famous? The WAC gang set off on an outback adventure to find the Unsung Hero of down-under. Pitting the best against the best, the nastiest against the nastiest and the downright bizarre against the kookiest. This is WAC’s Wackiest and it’s set to be a formidable, beastly showdown.